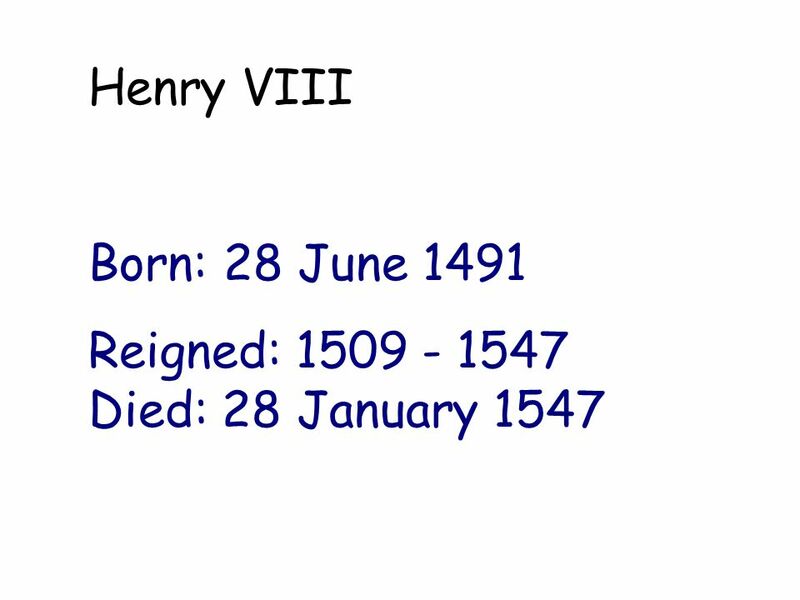 Henry VIII Born: 28 June 1491 Reigned: 1509 - 1547 Died: 28 January 1547. 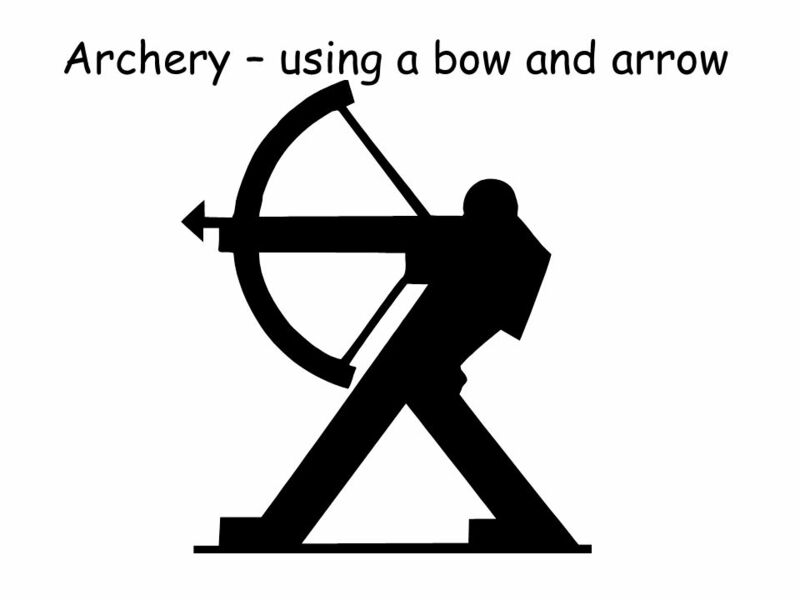 8 It is said that he could use a bow and arrow better than any man in England. 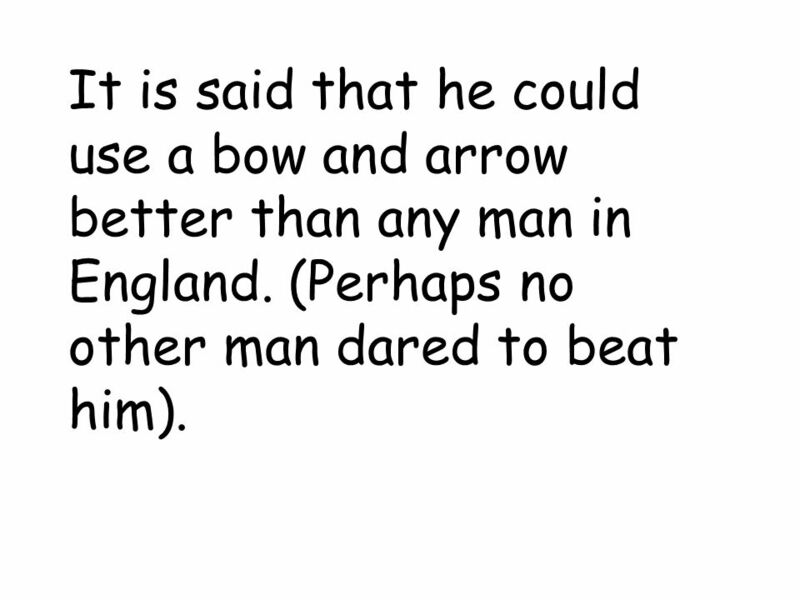 (Perhaps no other man dared to beat him). 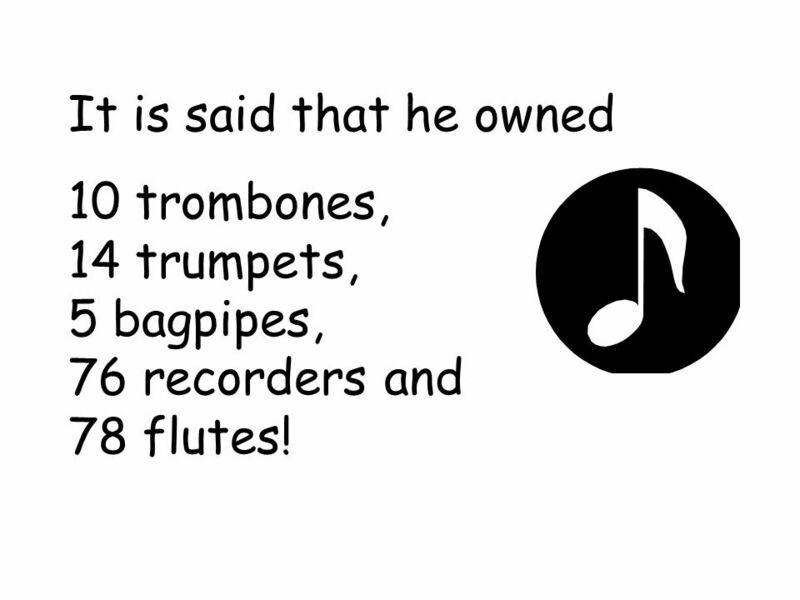 10 It is said that he owned 10 trombones, 14 trumpets, 5 bagpipes, 76 recorders and 78 flutes! 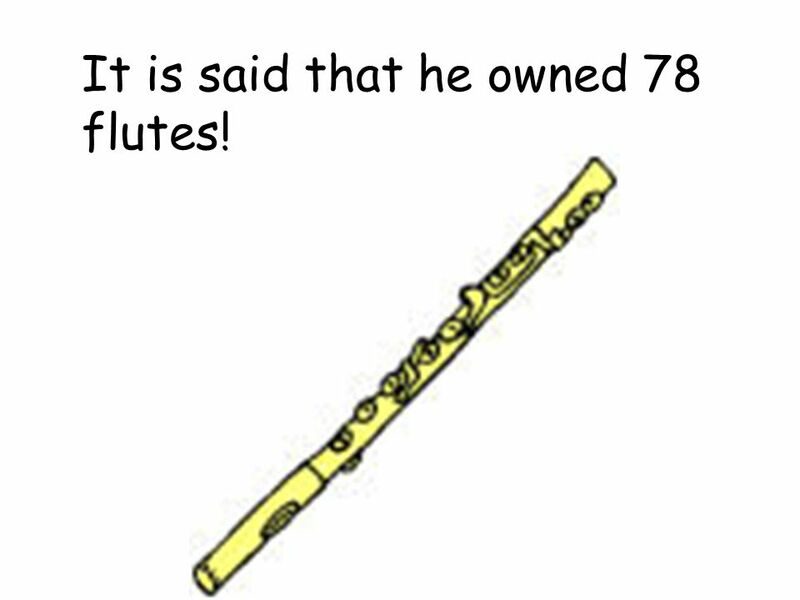 11 It is said that he owned 78 flutes! 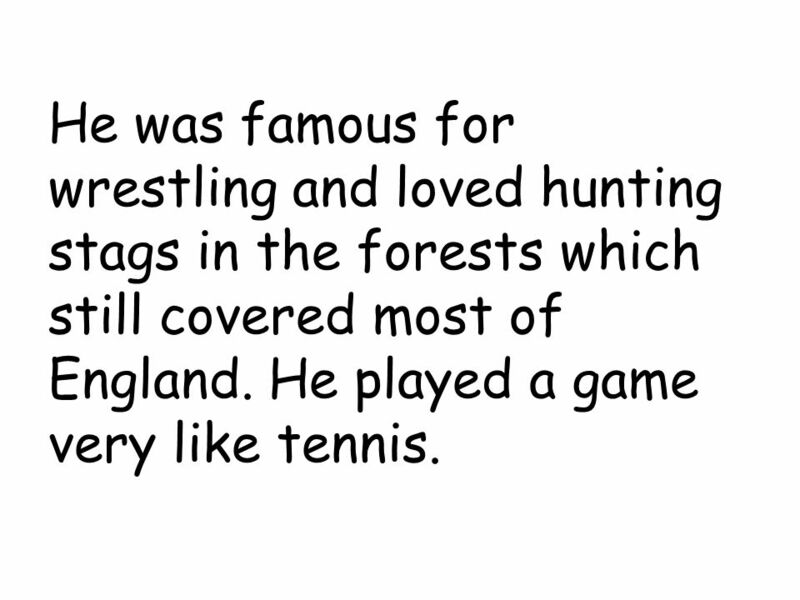 15 He was famous for wrestling and loved hunting stags in the forests which still covered most of England. 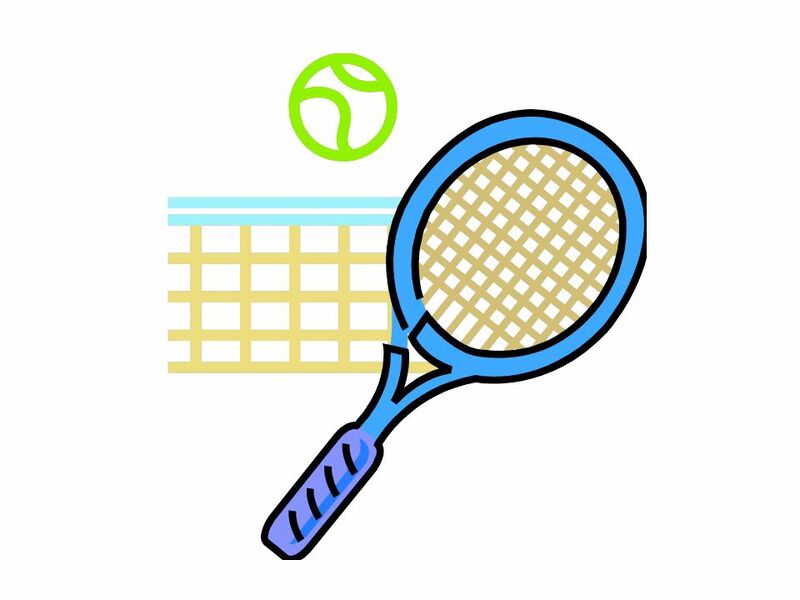 He played a game very like tennis. 20 He was a terrible and cruel King. He executed (had killed) anyone who disagreed with him (including two of his wives!) 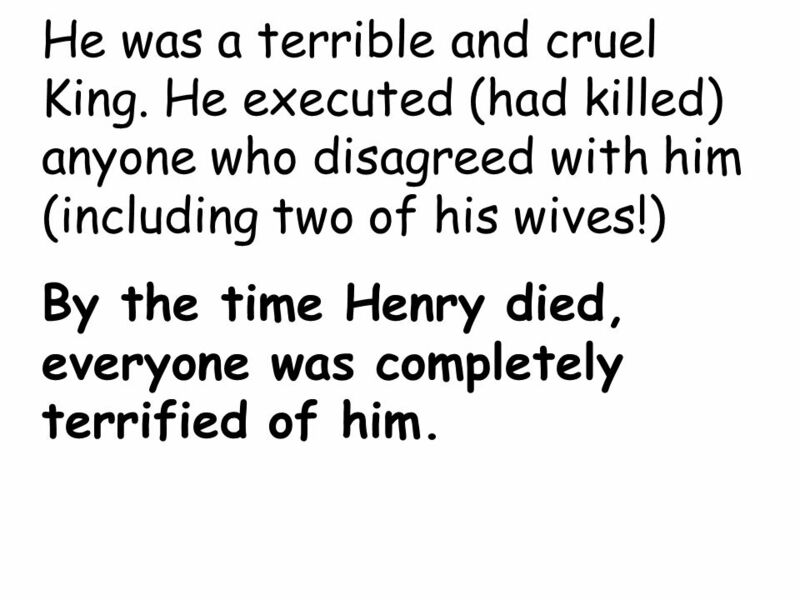 By the time Henry died, everyone was completely terrified of him. 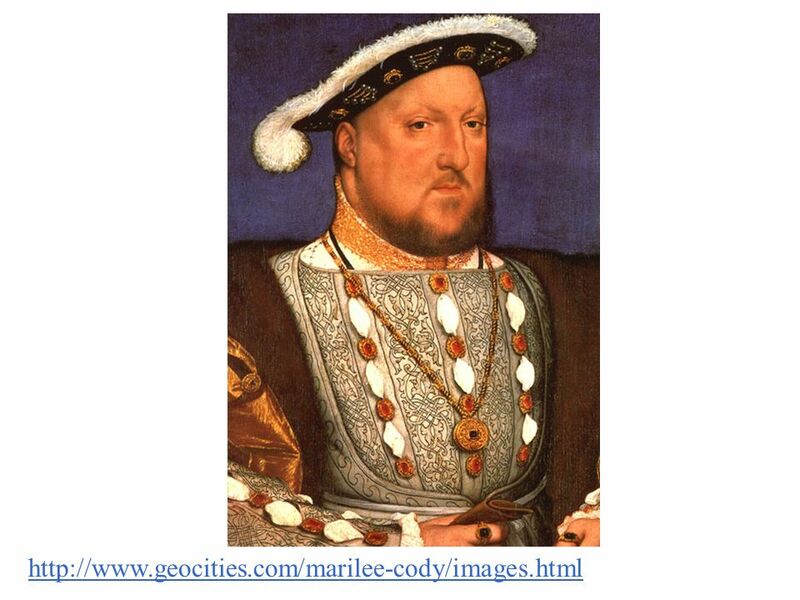 Download ppt "Henry VIII Born: 28 June 1491 Reigned: 1509 - 1547 Died: 28 January 1547." 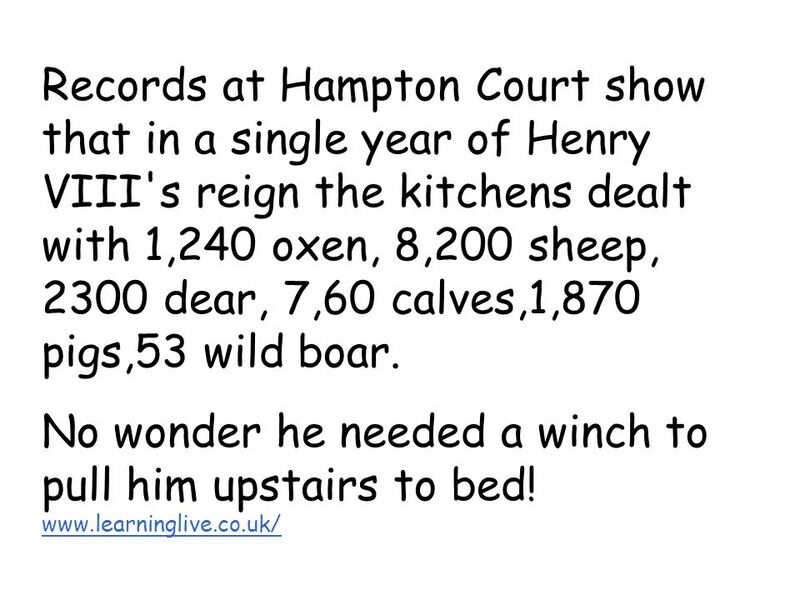 Dont forget that Henry was a religious man who worshiped the Catholic Faith throughout his reign Even though he set up his own Church of England. Comprehension Questions for the book Where The Wild Things Are. 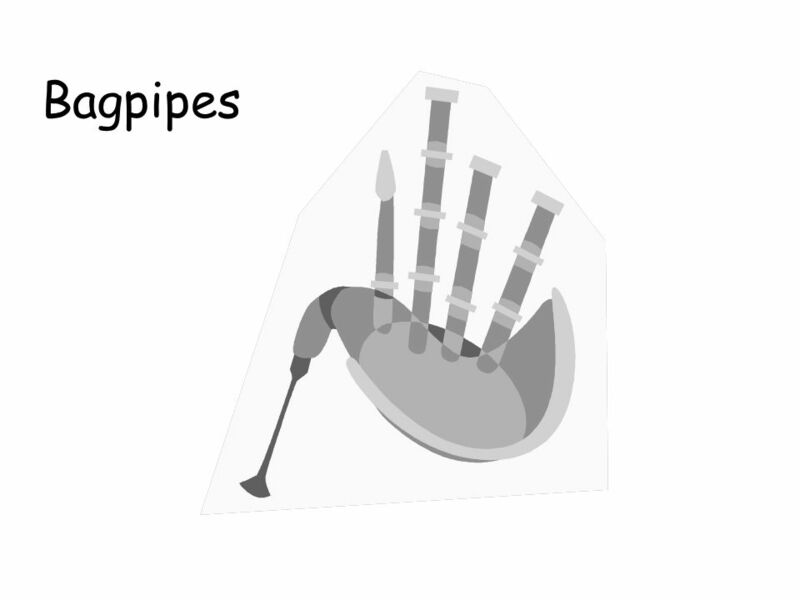 Pocket Chart poem: Five Little Monsters Print slide 2 twice, return to printer and print. Ephesians 2:4-10 God, who is rich in mercy, for his great love wherewith he loved us, 5 Even when we were dead in sins, hath quickened us together with. Burn Us Up By Shane Barnard. 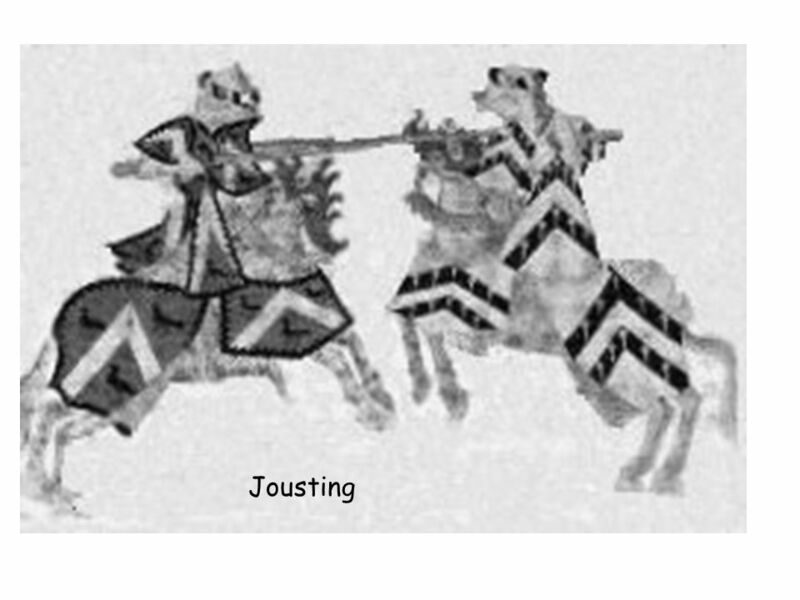 There were three before the king. There were three who wouldn't bow to him. For when you heard the music play and you were. Created by Debbie Potter Round Diamond School In the Tudor period people would have lived in timber framed houses. The size and quality of the building. Mgr. Petra Soukupová. 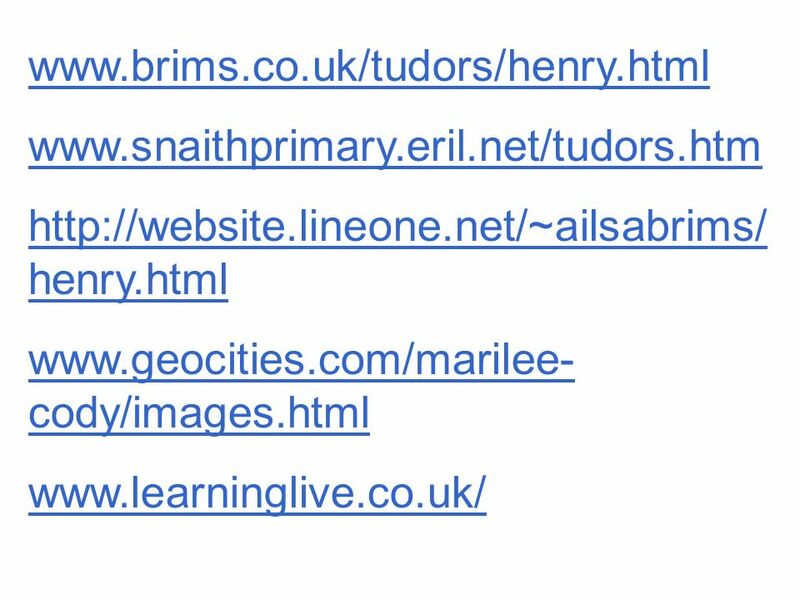  Lead-in Questions  Photo: Henry VIII  Henry VIII  The English Reformation  Other Events  Henry's Image  Henry and Faith. HENRY VIII Kateřina Horská. His youth born on the 28th of June 1491 at Greenwich the second son of Henry VII and Elizabeth of York succeeded to the throne. 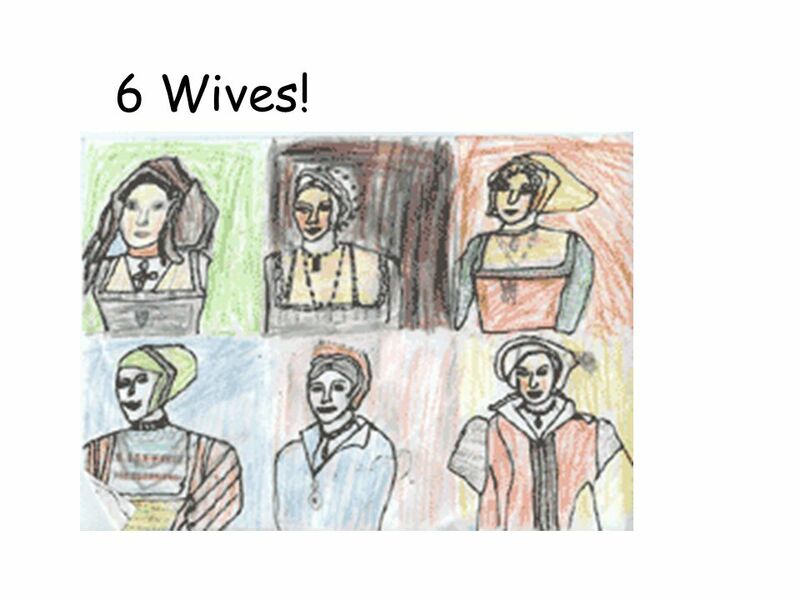 The life and wives of... King Henry VIII Click to continue. The Tudors By Max, Kian and Samuel. 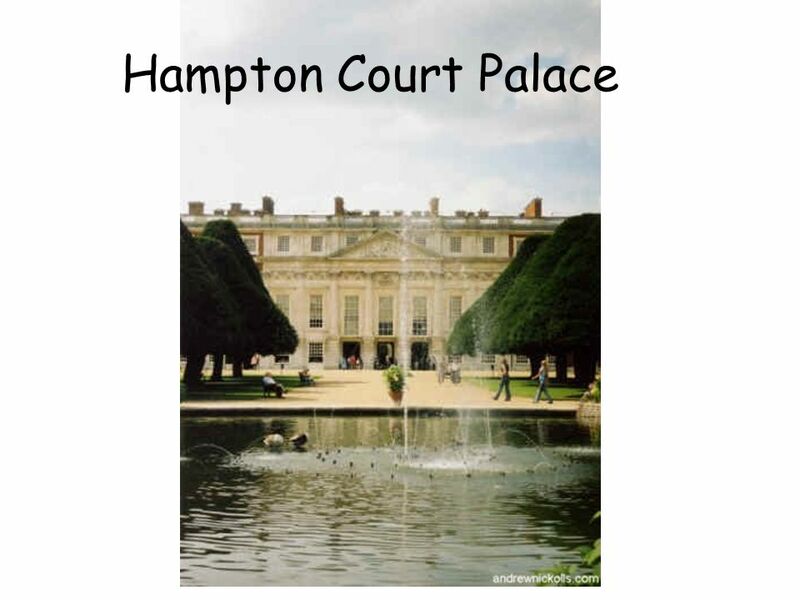 Introduction You will find out a variety of things about the Tudors. You will find out a variety of things about the. 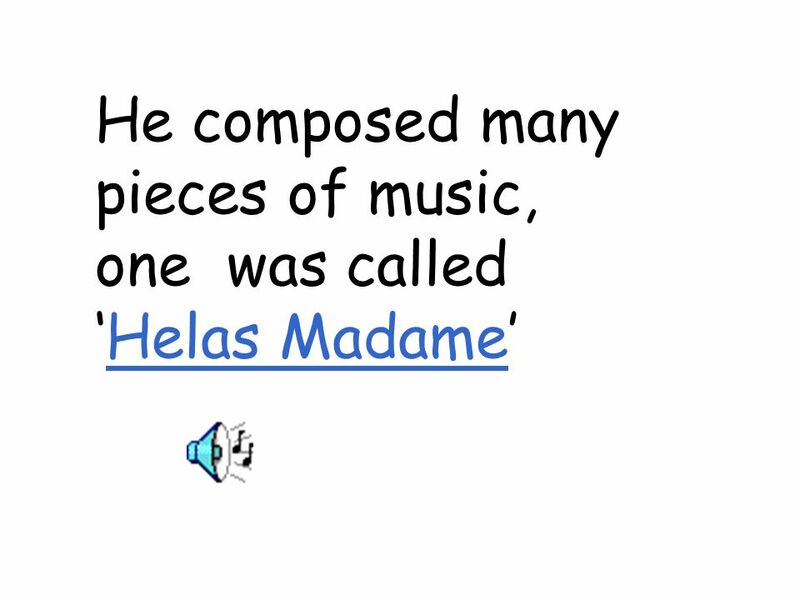 Tudor Entertainment and Music By Amelia Marshall and Rosa Marks 5C. 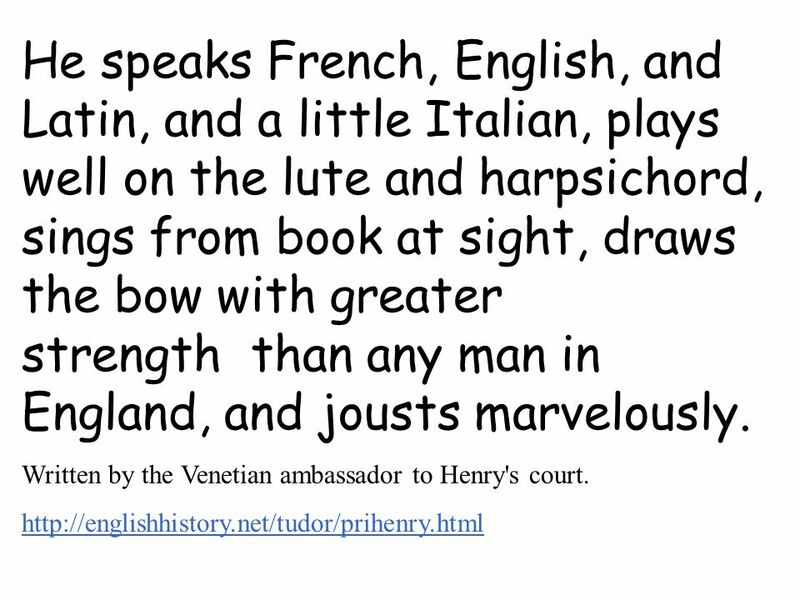 King Henry the Eighth. 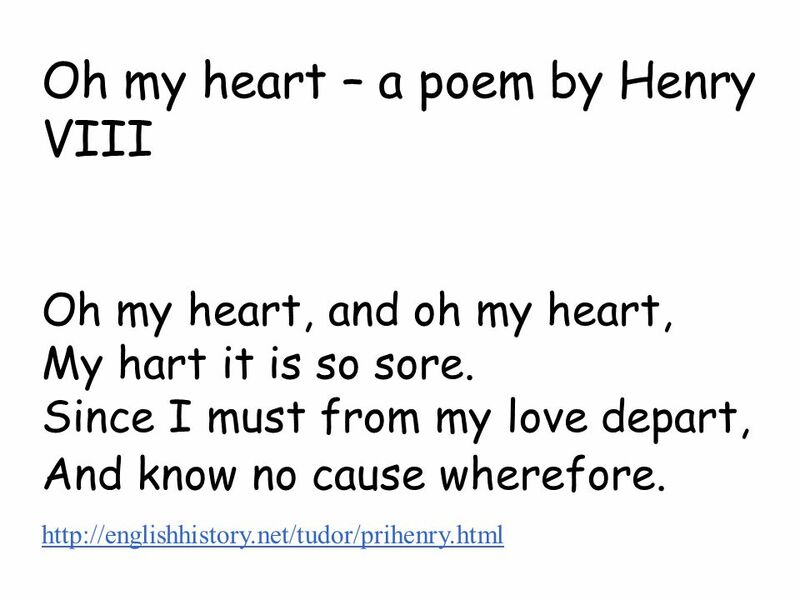 King Henry was born on June 28,1491 and died at the age of 55 on January 28,1547. Elizabeth 1 What Was Elizabeth I Good At? Elizabeth was very good at horse riding. In Tudor times it was fashionable to ride side saddle and here is. 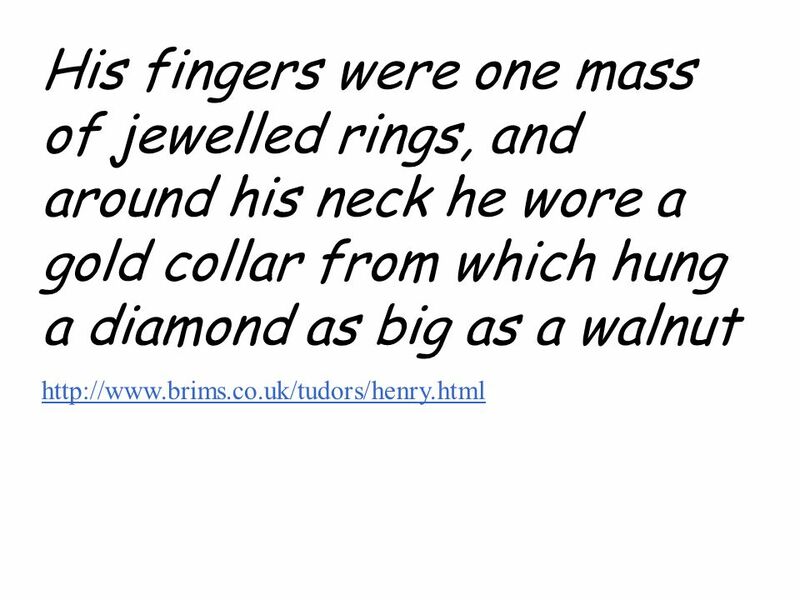 TUDOR PERSUAUSIVE WRITING Henry is advertising (again!) for a new wife.